A Sterling Silver Pentacle with Celtic Cross for those who are Practicing Christo-Pagans, or would like a more discrete Pentacle for the Workplace. 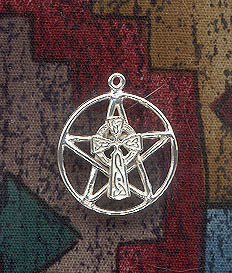 Cast in .925 Sterling Silver here in America, these Pentacles measure approximately 24mm tall x 21mm wide... The perfect size for either a Charm Bracelet or to Wear on Your Favorite Necklace Chain. 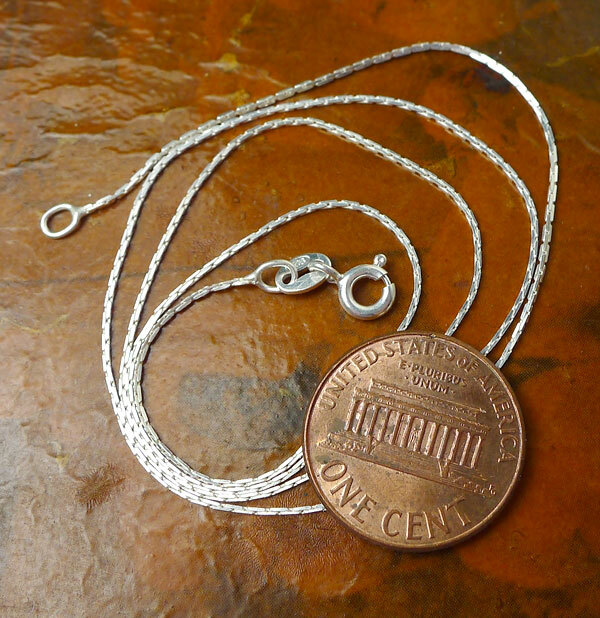 Overall Size: 24mm x 21mm = ~1" x 7/8"
Sold by Pendant Necklace on your choice of chain length. > You can Customize your Pentacle with Celtic Cross Necklace -- Choose from length of Sterling Silver Necklace Chain (see last picture for current chain style). Your Solid Sterling Silver Cross Pentagram Necklace will come Boxed.